Security & Safety are one of the most important departments in any company. For organizations with a large setup, tight security is almost a must. We undertake hiring for all job positions in the fields of Managers, Officers, Guards etc. 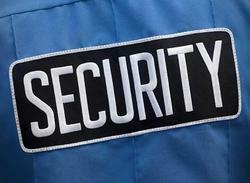 We are indulged in offering Security Recruitment Services. In this service, we provide professionals candidate who have rich industry experience. Moreover, our firm has hired professions HR team, who hire knowledgeable candidate who are capable to complete assign task with given time frame with effective way. Note:- We are keen in catering Delhi/NCR clients. We recruit our staff based on stringent parameters. This includes education, physical fitness, age and antecedents. We also keep in mind the specific requirements of each client as well as the sensitive nature of the job. Our recruitment poly and procedures ensure that right person is selected for the right job. JOHNNY GROUP is well managed by a group of professionals from various corporate sectors High-Ranking Defence and other forces personnel.It is middle level management and executive operations are mostly from defence services. We have the ability to provide well-trained and physically sound Guard Training Services. 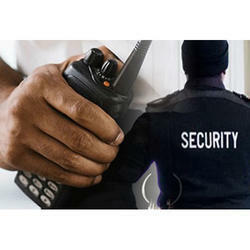 Our strong emphasis on the proficient training to the security guards enables us to meet the varied security related requirements of our clients at competitive prices. We provide excellent job opportunities for gorkhas & ex gorkhas soldiers of indian army in the field of security services. All needed to be done is just submit your CV to us. Getting the right candidates at the right time is every HR Managers dream. At SCS we work towards achieving that dream for you. We have considerable expertise in providing Permanent Staffing at various levels. We select our Security personnel who are educated, well built, after thorough screening. In house training programmes are conducted for security.